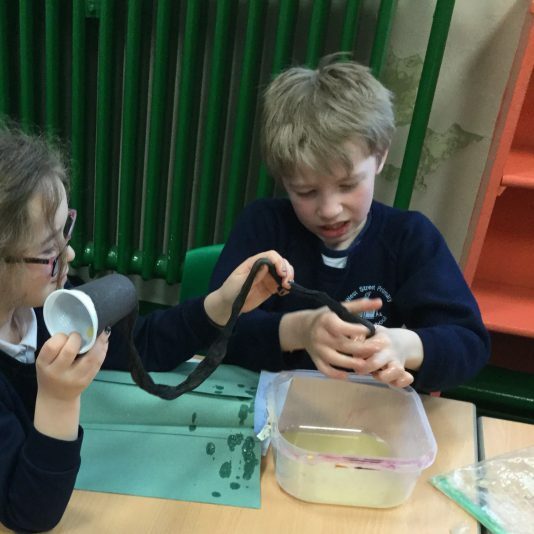 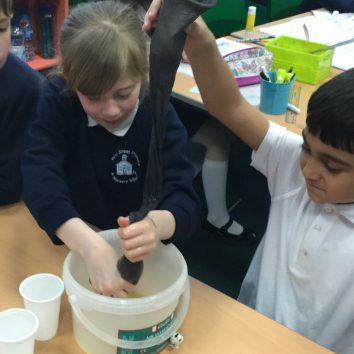 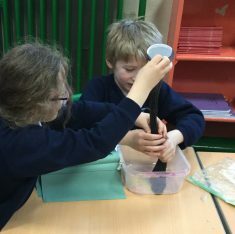 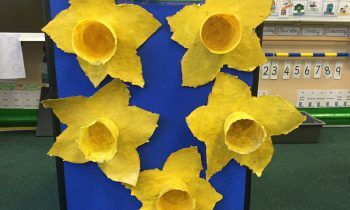 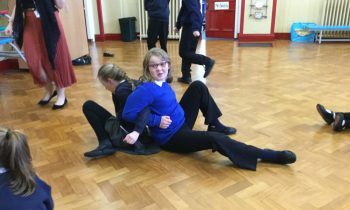 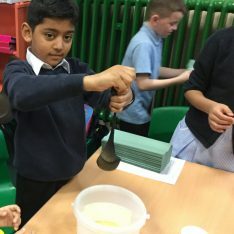 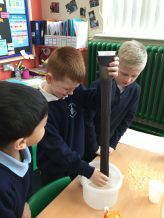 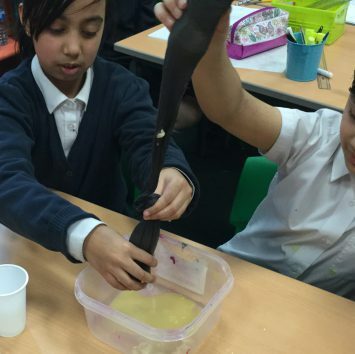 In science this half term, we have been learning about the digestive system. 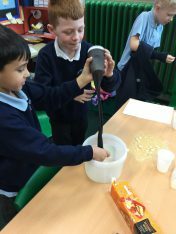 In order to better understand the journey our food takes through our bodies, we recreated the digestive system in our classroom! 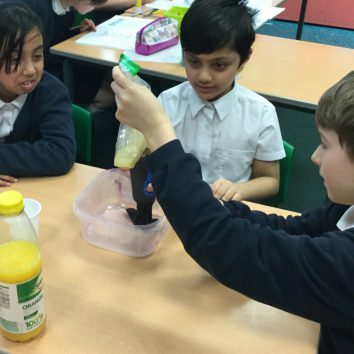 We used a range of different ingredients to represent our key digestive organs and what we put into our body/what it produces. 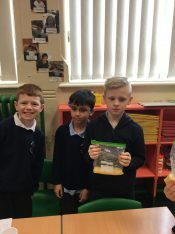 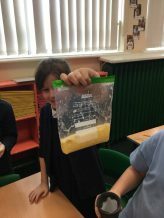 Firstly, we poured water (saliva) and orange juice (stomach acid) into a plastic bag which represented our stomach, along with banana and cream crackers to represent the food we eat. 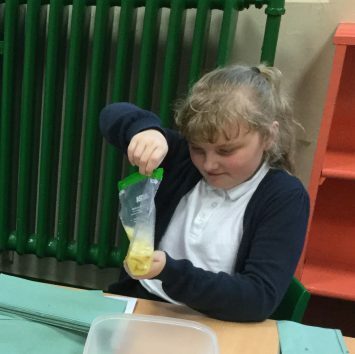 We spent a few minutes squashing the food, replicating the action of our stomach muscles. 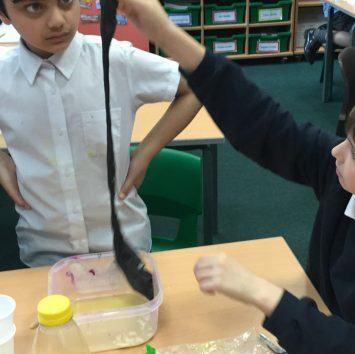 Next, we squeezed the mixture into a pair of tights (the small intestines). 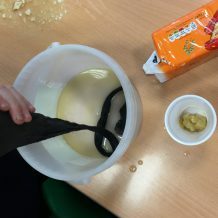 We took turns to squeeze the food down the leg of the tights as liquid escaped the tights into a bowl (the body). 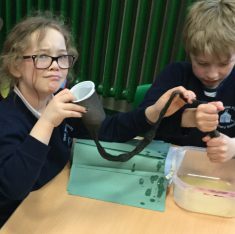 The liquid that was leaking out of the tights replicated the nutrients and minerals being squeezed out of our food in the small intestine and sent to the rest of our body. 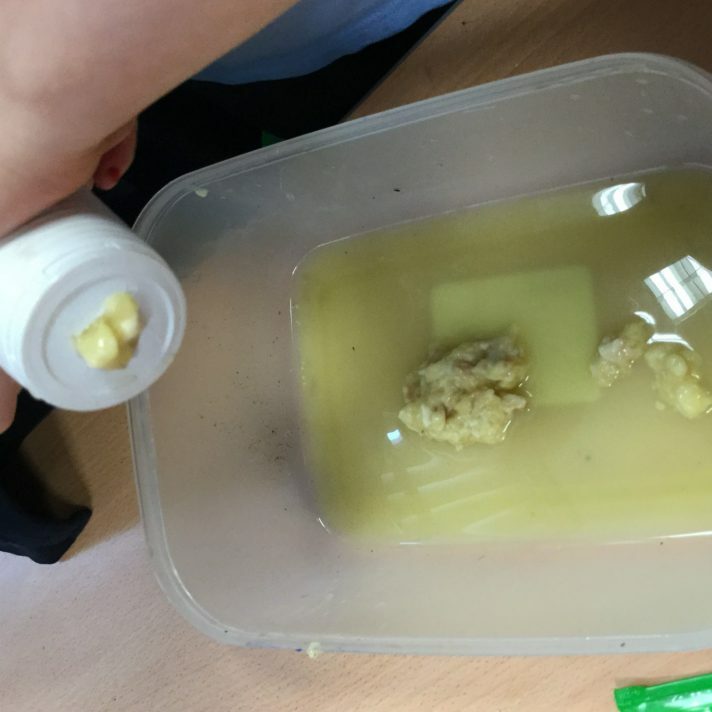 We cut the tights and pushed the remaining food into a plastic cup with a hole in the bottom (the large intestine). 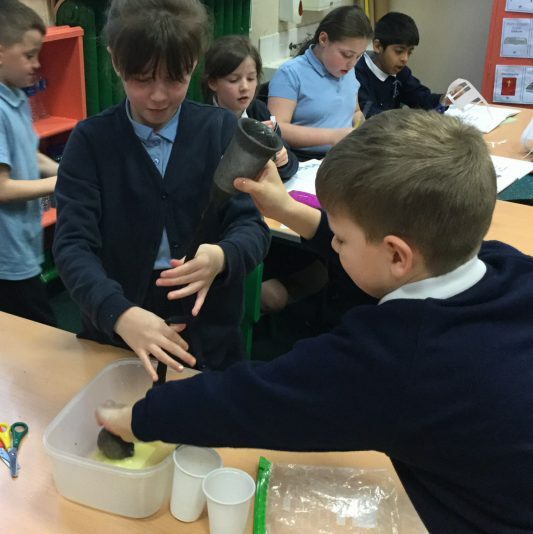 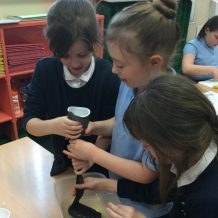 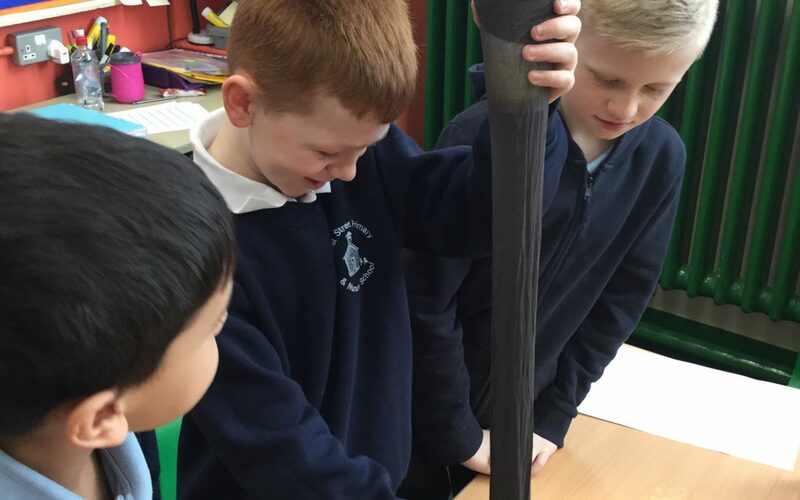 Using another cup, we pushed what was left of our food out of the hole, replicating the action of the large intestine making the faeces and us going to the toilet! 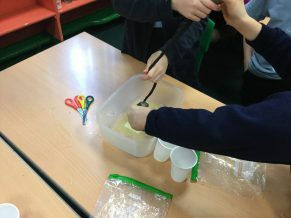 The children loved this investigation and took away from it an excellent understanding of the digestive system!